The Audio-Technics AT4047 Condenser Microphone is designed for professional recording and critical applications in broadcast and live sound. Transformer-coupled output and a specially tuned element provide sonic characteristics reminiscent of early FET studio mic designs. The AT4047 mic has exceptionally low self-noise, wide dynamic range and high SPL capability. It sports a vintage silver-matte finish on the microphone and shock mount. 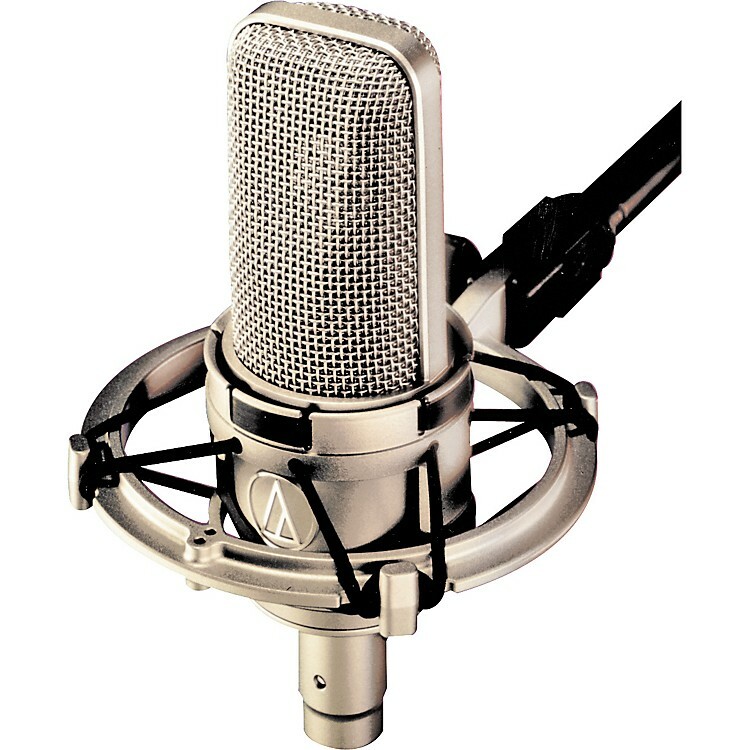 Audio-Technica includes a protective case and AT8449/SV shock mount with the AT4047 microphone.